Today we wanted to explore how one can use dimensions to copy a pattern. 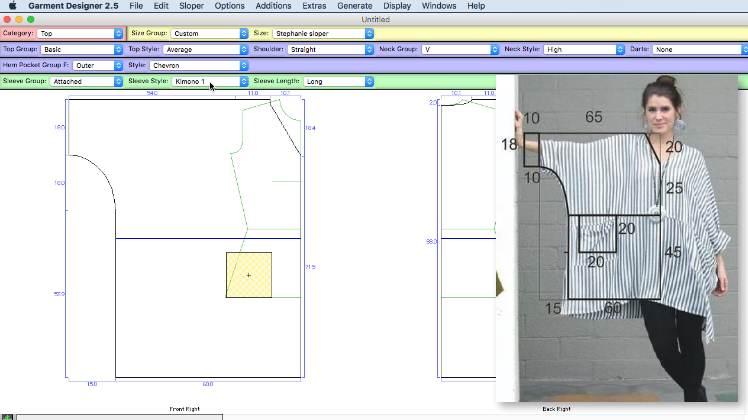 For the video we used a reference photo from Pinterest, but you can use the same process from any schematic you create, such as from a paper pattern or a garment itself. Pinterest is a great source of design inspiration and patterning tips, as undoubtedly many of our creative users already know. One of my favorite pins to come across are the pattern analysis pins. There is usually a nice photo of a finished garment as well as a pattern with dimensions listed. 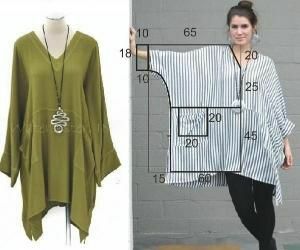 These pictures are a great starting point if you’d like to pattern the garment but don’t really know what the flat pattern shape is or what the measurements are. If you’ve attended any of our Garment Designer Webinars where we show you how to copy a Garment, the process is going to be feel very familiar. Cochenille rotates through our live webinars every month, but we do have some downloadable webinar videos that can be purchased at our web store. Please enjoy the video and if you happen to be inspired to try your own project using this method, send us your photos! We will add it to this post so other readers can see.